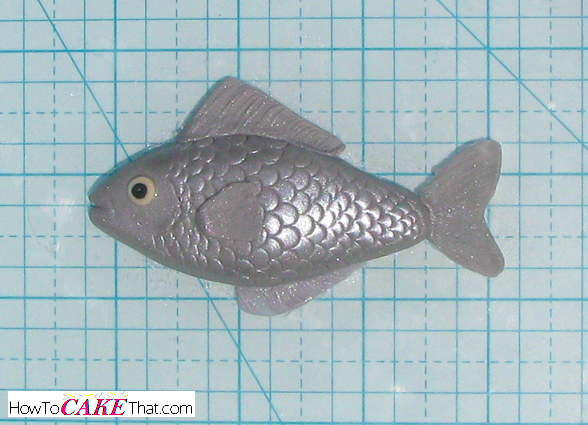 Do you want to learn a super cheap and easy way to make realistic scales for your fish or mermaid modeled figure or sculpted 3D cake? All you need is a simple tool that you can get for extremely cheap or even free!! And that awesome tool is... a straw!! Straws come in several different sizes, and you can usually pick up a free one at your local coffee shop or fast food restaurant. Or they can be purchased at your local grocery store or craft shop. Straws are also flexible, which means one straw can be shaped to produce scales in various sizes! 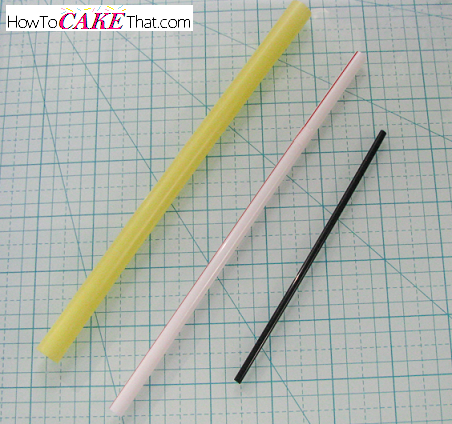 Straws above (from left to right): large Tea Straw, standard drinking straw, and coffee stir straw. 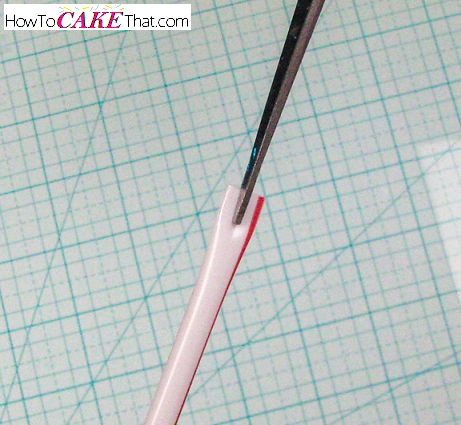 To turn your ordinary straw into a scale tool, snip the end of the straw in the center with a sharp pair of scissors. Trim away one half of the trimmed end of the straw. The end of the trimmed straw should now have a "u" shape. The "u" shape on the end of the straw makes nice uniform scales when pressed into fondant, gum paste, or modeling chocolate! And to manipulate your straw scale tool to form different size scales or scales with more depth, just gently pinch the end of the straw to make the "u" shape a little more narrow. 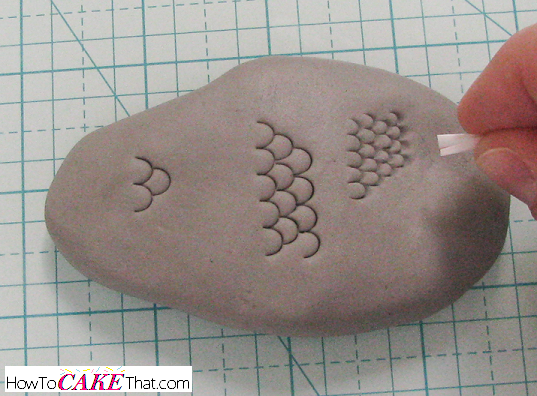 Press the smaller "u" into the fondant at a 30 to 70 degree angle. Or to make your straw scale tool hold a certain size permanently, just pinch the end of the straw to the desired size and wrap near the end with tape! 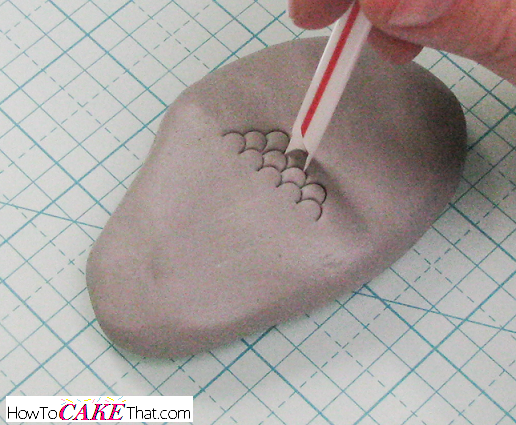 Be sure to practice on a scrap piece of fondant with your straw tool before using on your project to ensure your scale tool is the proper size for your project, and to also get an understanding of the scale pattern. And for a beautiful sheen on your finished project, dust with luster dust, or airbrush with a metallic color. I hope you have enjoyed this tutorial! God bless! !